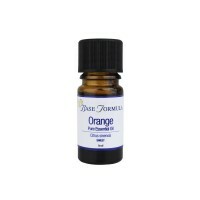 Bergamot essential oil has a citrus aroma that is both fruity and sweet, with a warm, spicy, floral quality. Bergamot oil is revered for its relaxing properties and calming effects on stress-related stomach problems. Bergamot essential oil is used primarily for relaxation (its exquisite scent has unisex appeal and is popular with both men and women). Bergamot oil is known as "Natures Prozac" as is one of the most popular aromatherapy oils to help ease work-related stress, over-emotional feelings, depression, tension, and physical and mental agitation. It can also be used when overwork or pressure affects the stomach and digestion. Bergamot essential oil is a common ingredient in many modern perfumes and adds a wonderful therapeutic quality and fragrance to any aromatherapy massage oil or bath blend. Bergamot is small citrus tree native to South East Asia. Its name comes from the small town of Bergamo in Italy where the essential oil was first sold. Bergamot is a close relative of the Bitter Orange tree, and produces a small fruit that turns yellow in colour when ripe. Unlike other citruses the fruit is inedible as it is so sour! The essential oil is produced from the peel of the nearly-ripe fruit, with main countries of production being Italy, Corsica and Morocco. As well as being one of the most useful aromatherapy oils, Bergamot is also used as the flavouring for Earl Grey tea. Avoid massage if skin very sensitive. Bergamot oil can cause burns when used on sensitive skin which is then exposed to sunlight, as the high content of bergaptene* can cause photo-toxicity. It is advisable to keep out of the sun after use on the skin. Bergamot essential oil has antiseptic properties that are beneficial for wounds and skin conditions such as acne, eczema and psoriasis. It can also be helpful for oily skin and cold sores. Bergamot oil is very good for lifting the spirits and treating stress, depression, nervous anxiety and work-related tension. It is also often recommended when treating the symptoms Seasonal Affective Disorder. Bergamot essential oil is one of the best antiseptic aromatherapy oils for treating cystitis, urinary tract infections and bacterial stomach upsets. It can also be beneficial for respiratory problems such as colds, flu and sore throats, and can help to regulate the appetite. * Bergaptene (Furocoumarin) is the chemical constituent which may cause skin to turn slightly brown in sunlight (hence it was the main ingredient of Bergasol sun tanning lotions). The effect however can be very uneven so this oil should not be used on the skin prior to sun exposure. 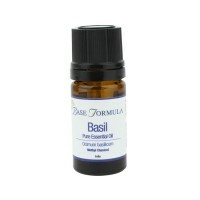 Base Formula also supply Bergamot essential oil with the Bergaptene removed (Bergamot FCF).